It’s Available and it’s Awesome!!! Over 488 pages of Science Fiction! Including a story by yours truly! Just $3.99! 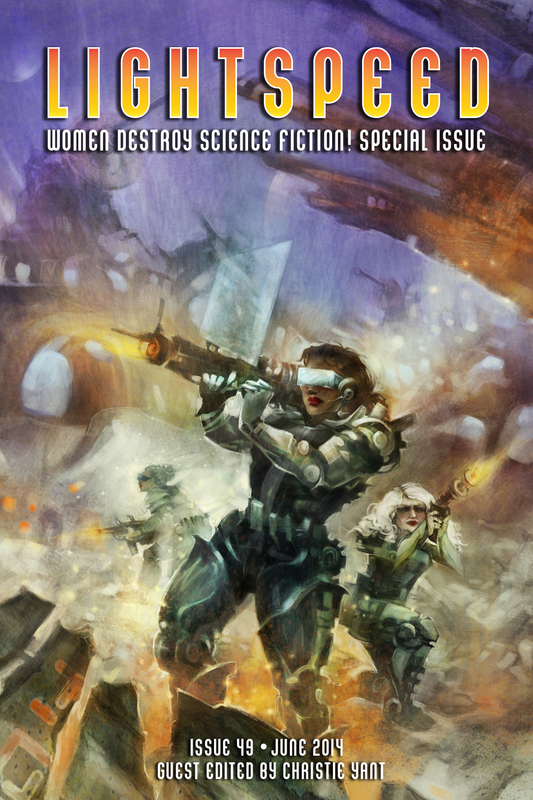 This special issue of Lightspeed features original fiction by Seanan McGuire, Charlie Jane Anders, N.K. Jemisin, Carrie Vaughn, Maria Dahvana Headley, Amal El-Mohtar, and many more. All together there’s more than 180,000 words of material, including: 11 original short stories, 15 original flash fiction stories (including mine! ), 4 short story reprints and a novella reprint, 7 nonfiction articles, and 28 personal essays by women about their experiences reading and writing science fiction. A World of Wonder in 100 words! Can you tell a story in 100 words? It’s more of a challenge than you might think!